I love taking open top bus rides when I first get to a city. Not only do you get a quick round-up of the best sights, but you also get local knowledge that helps you plan out the days ahead. 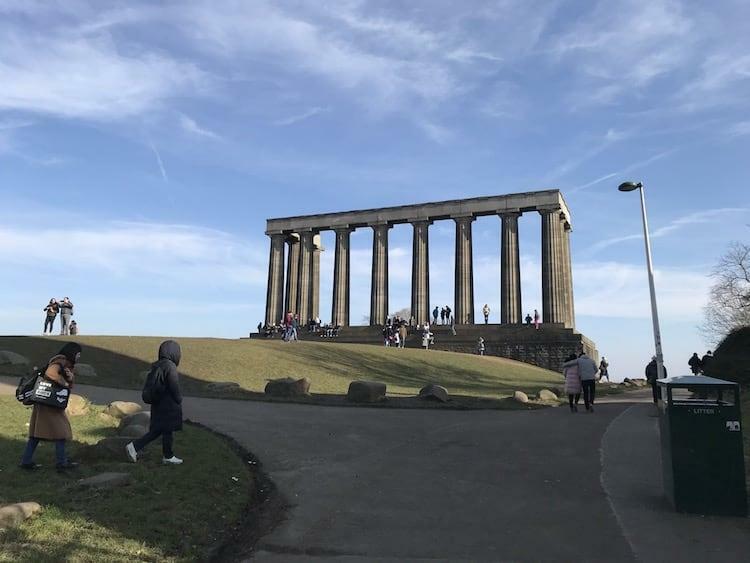 It was thanks to our dry witted, passionate and knowledgable bus guide Colin, that I found myself on top of Calton Hill. 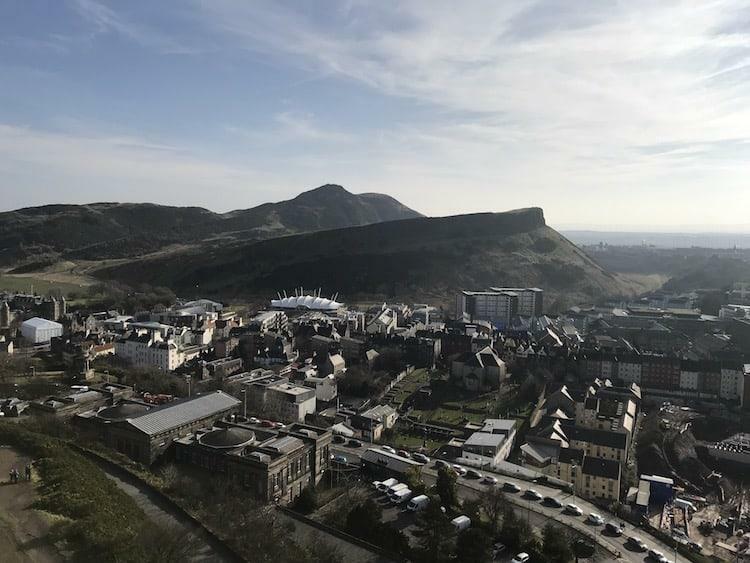 On our tour the day before, Colin had pointed up at a stone staircase leading away from the road, and had made the bold statement, “the best views of the city could be found from the top of Calton Hill”. 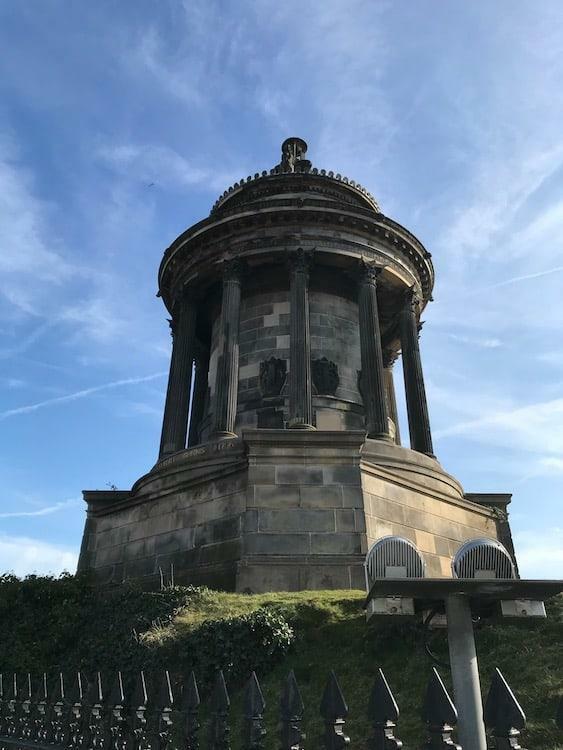 As well as having amazing views across the city, Calton Hill holds some architectural splendours of its own. 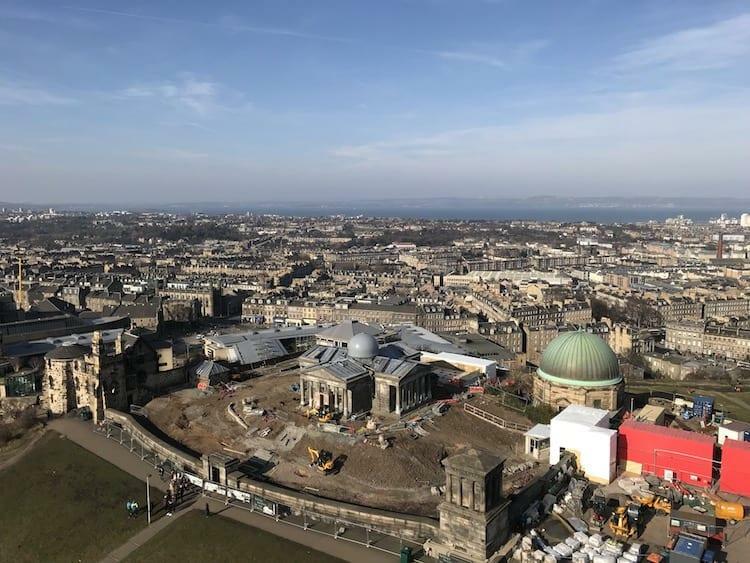 No-where in Edinburgh does the nickname ‘Athens of the North‘ make more sense than on the top of Calton Hill. That’s quite a list and makes it a worthwhile visit just for those! There is a lot to see on top of Calton Hill so it’s worth having a bit of background on the buildings at the top. The Nelson Monument was built between 1807 and 1816. 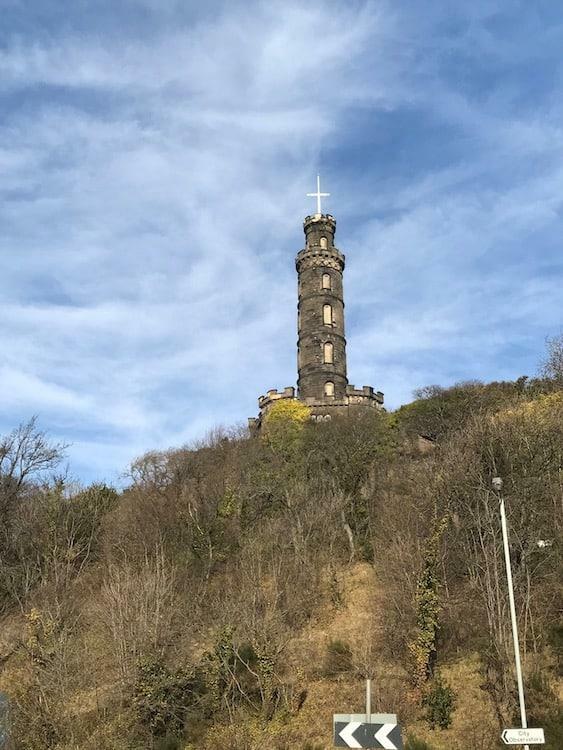 Designed by Robert Burn, it is visible right across Edinburgh, and looks a little like a telescope! Built 30 years earlier than Nelson’s Column in London, it was completed only 11 years after Lord Admiral Nelson’s death at Trafalgar. 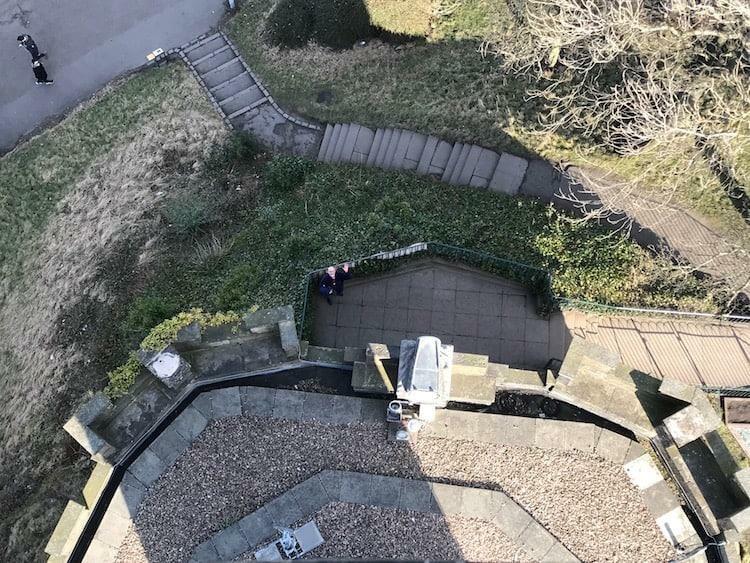 It costs £5 to get in, and has 143 steps to the top, but from here you’ll get the best views of Edinburgh! 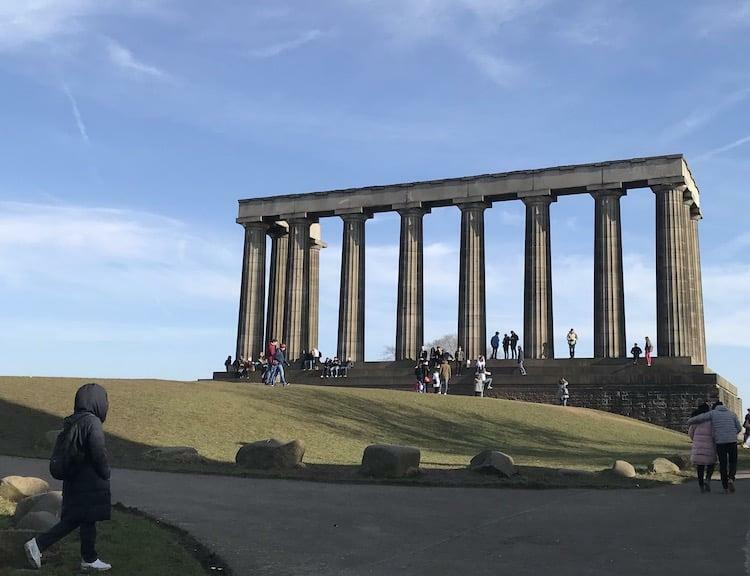 The National Monument of Scotland sits unfinished for nearly 200 years! 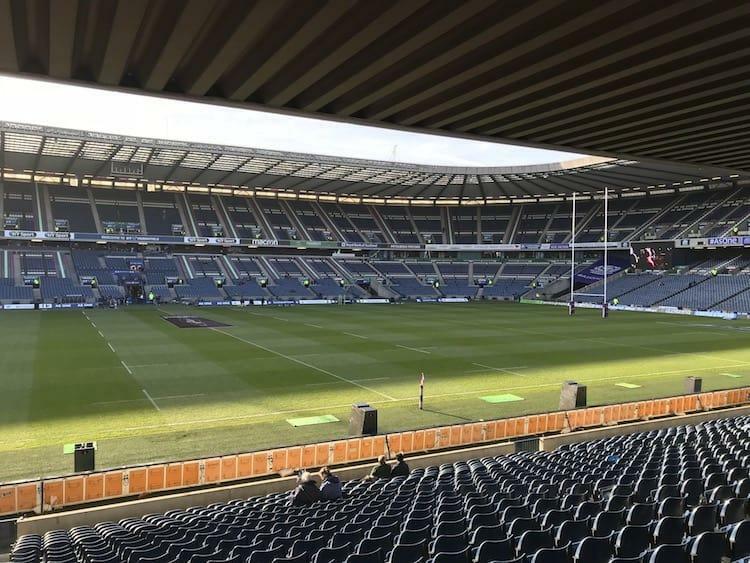 Designed as a tribute to Scots lost in the Napoleonic Wars, the money ran out in 1829, and debate has continued ever since as to what to do with it. If it looks familiar, that’s probably because it was an almost exact replica of the Parthenon in Athens. The Dugold Stuart Monument pays tribute to Professor Dugald Stewart who was Professor of Moral Philosophy at Edinburgh University. He was considered one of the greatest philosophers of his time. Designed by William Henry Playfair who was also responsible for the unfinished National Monument, it was also based on a building in Athens – the Choragic Monument of Lysicrates. The Old Royal High School on the south face of Calton Hill was originally built in 1829, but has been empty since 1968. 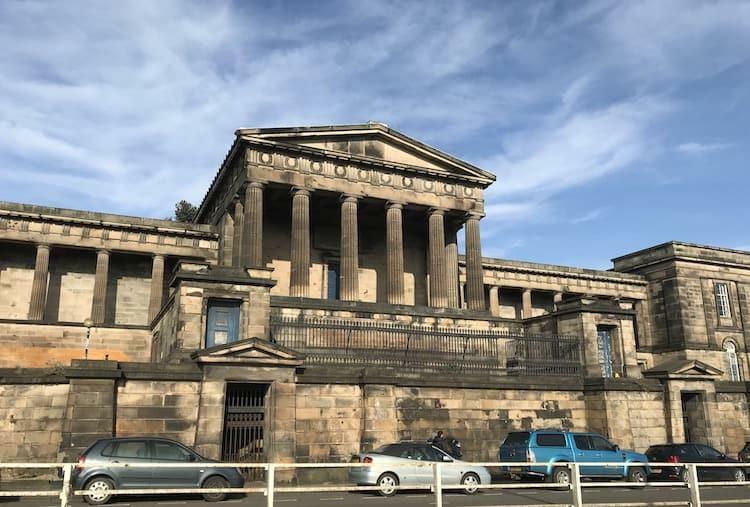 It is also known as ‘New Parliament House’, and it was the proposed site for the devolved Scottish Assembly with the main hall converted into a debating chamber. 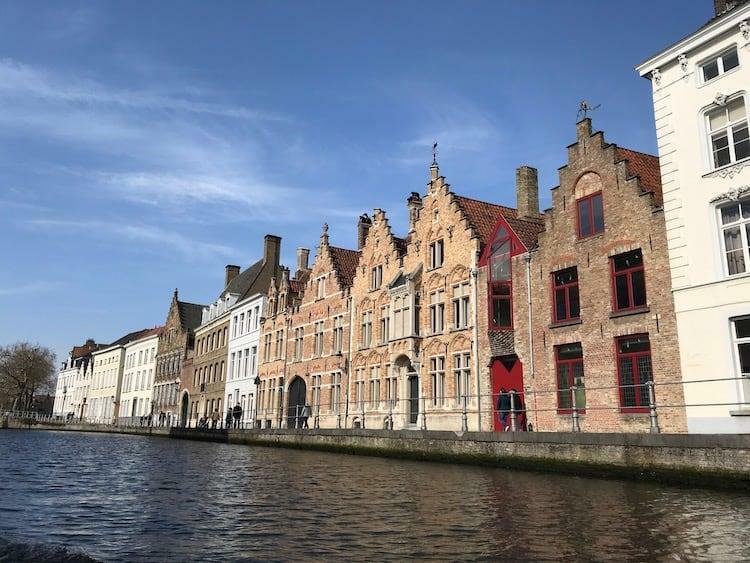 The latest proposal is to turn it in to a luxury hotel, but with strong feelings on both sides of the argument it continues to stand vacant. 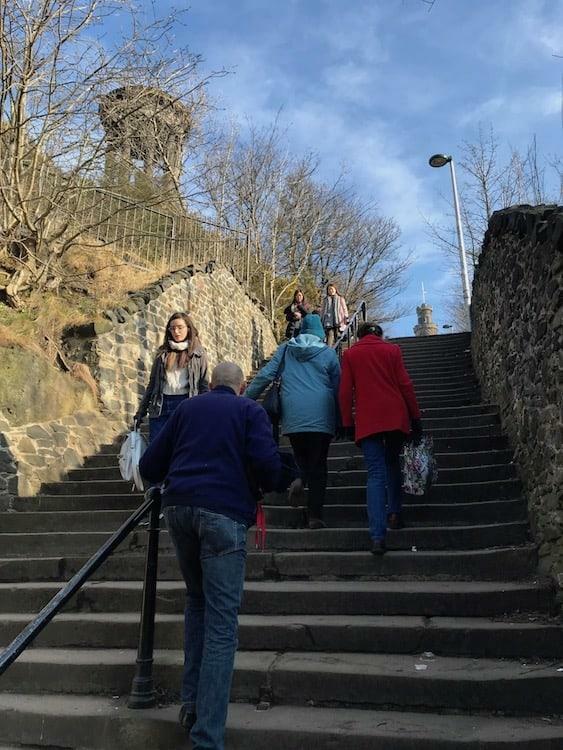 Calton Hill is a short walk from the town centre, but it is quite steep to the top! 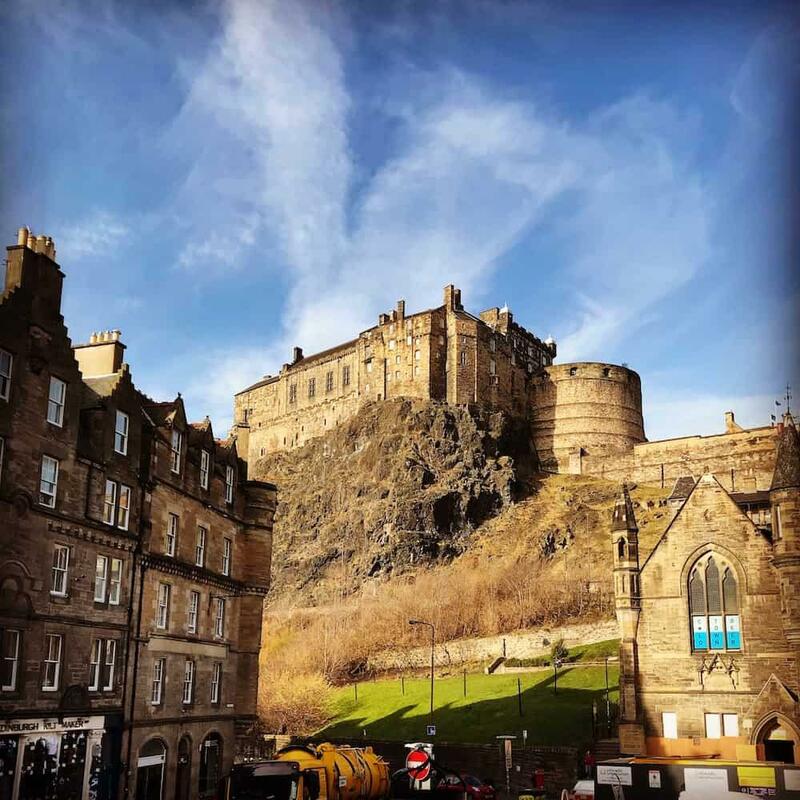 If you’re here on a day trip, or have already checked out of your apartment there are a number of places where you can store your bags in Edinburgh. A few of these are near the station, and cost only £6 for a few hours. 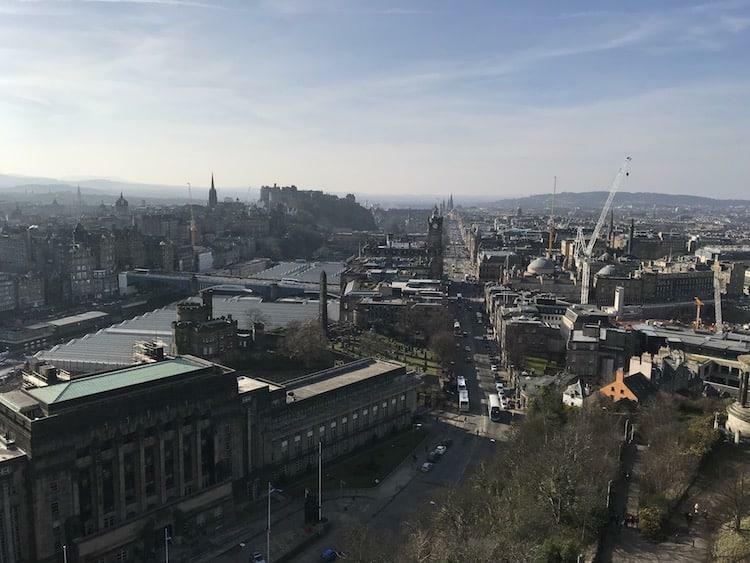 But the reason I was here, was to make the most of the remarkable late February weather, and snap me some iconic photos of the beautiful city of Edinburgh. So having left my dad at the bottom, and scaled the 143 steps to the top of the Nelson Monument, here are my best efforts. If these don’t convince you to visit Calton Hill I don’t know what will!? 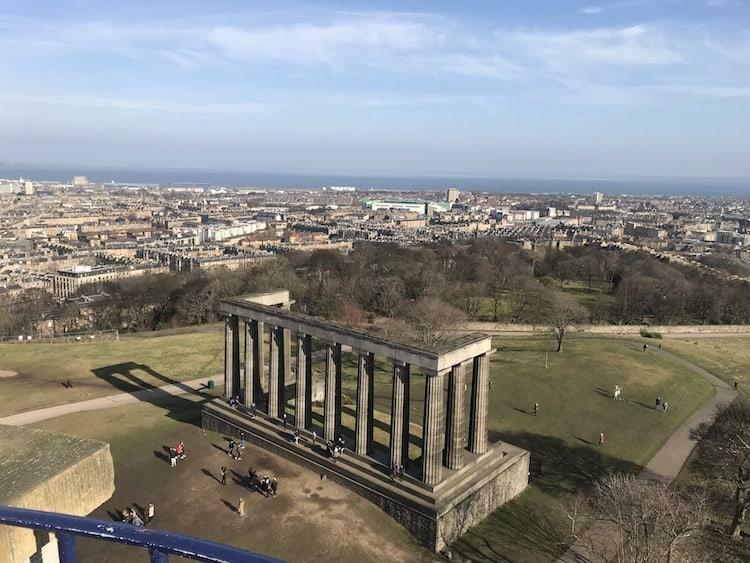 All of these photos were taken from the top of The Nelson Monument and show the different views available from the top of Calton Hill.